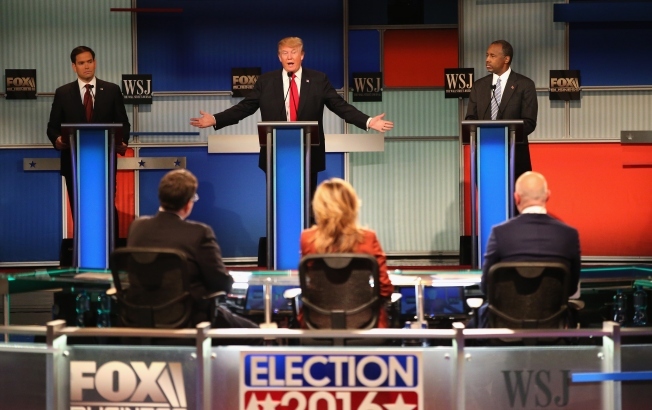 Presidential candidate Donald Trump (C) speaks while Sen. Marco Rubio (L) (R-FL), and Ben Carson look on during the Republican Presidential Debate sponsored by Fox Business and the Wall Street Journal at the Milwaukee Theatre November 10, 2015 in Milwaukee, Wisconsin. The fourth Republican debate is held in two parts, one main debate for the top eight candidates, and another for four other candidates lower in the current polls. So, what's everyone talking about today? 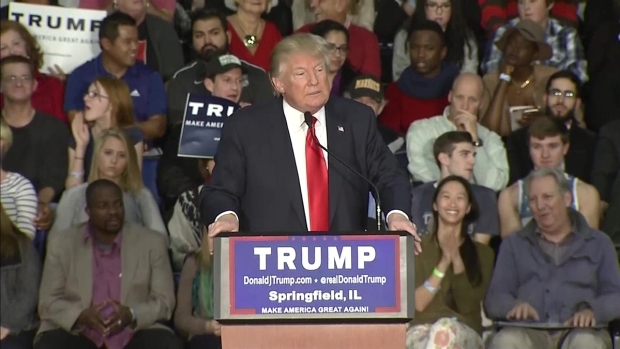 Check out these 5 must see videos of the day for November 11, 2015. 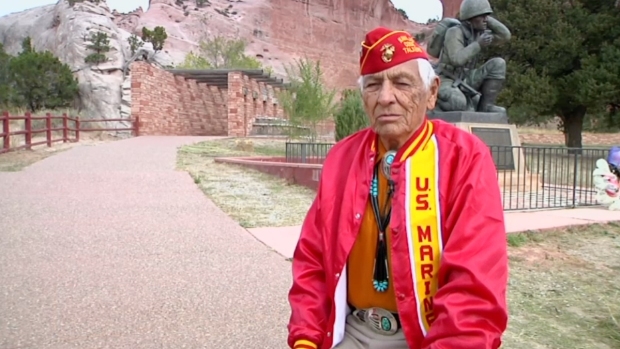 Roy Hawthorne, 89, served as a Navajo code talker with the U.S. Marine Corps from 1943 to 1945. He recalls how they came up with codes to trick the Japanese. The four Republican presidential candidates trailing in the polls have faced off in tonight's undercard debate, with some attacking their rivals' records and others steering clear of the infighting. Republican presidential candidate Donald Trump criticized Starbucks for not having the words "Merry Christmas" on the cup. Even though Starbucks hasn't printed those words on the cups for several years, the two-toned, minimalist red coffee cup instead of the usual designs of snowflakes and ornaments led to some expressing their anger on social media. 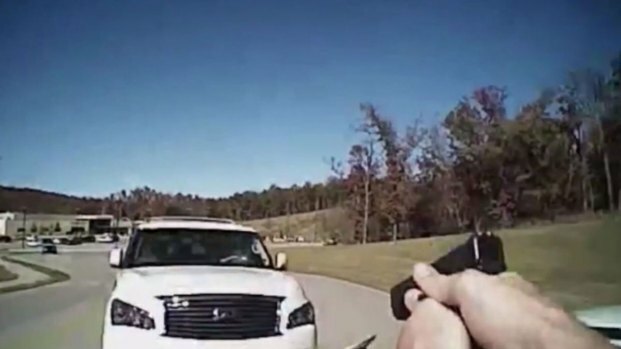 Body camera footage shows Oklahoma police officer firing at oncoming suspect as she rams SUV into cruiser. Necn meteorologist Nelly Carreno helped serve more than 700 guests at the annual "Celebration of Life" Thanksgiving dinner held at the Hynes Convention Center in Boston. This event was free to anyone living with HIV or AIDS, and their loved ones. Have a great afternoon; stay tuned for our next batch coming tomorrow.